Cinematic Machinery Collection of Soterios Gardiakos. 2002, ISBN 0-9777537-3-5, May 28, 2008, 201 pages. A Warwick (Baucus & Maguire Ltd.) Spoolbank Projector ca. 1897. In the Collection of Soterios Gardiakos. 2001, ISBN 0-9777537-0-0, June 1, 2008 48 pages. Pre 1900 American Made Movie Projectors. 2002. ISBN 0-9777537-4-3, June 11, 2008 144 pages. A Compilation of Greek made Movie Projectors and other Cinematic Equipment. 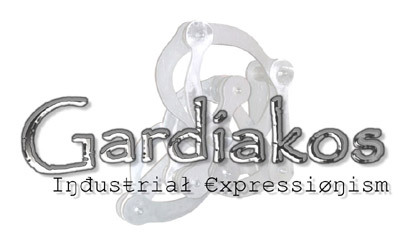 From information provided to Soterios Gardiakos by Nikos Theodosiou. 2002. ISBN 0-9777537-2-7, November 23, 2007, 57 pages. Kinematic Peephole Machines Using a Continuous Strip of Film or Paper. 2002. ISBN 0-9777537-5-1, June 15, 2008, 73 pages. LeRoy Projectors, An enigmatic pioneer in the quest to project motion pictures on the big screen. ISBN 0-9777537-7-8, June 11, 2008, 43 pages. Optigraph 35 mm projectors. June 26, 20008, 44 pages. The Peerless Kinetograph made by Geo. A. Knaak Co., of Oshkosh Wis. U.S.A. and the Veriscope Projector, An Inquiry into an enigma, October 26, 2009, 24 pages. A Prototype 35 mm Movie Projector in the Collection of Soterios Gardiakos Made by Carl J. Lang (Lang Manufacturing works) of Olean, New York, June 11, 2008, 21 pages. Peep Show Phantoscope ca 1904-1905 made by C. Francis Jenkins in the Collection of Soterios Gardiakos, June 11, 2008, 16 pages. Spoolbank Projectors, 2001. ISBN 0-9777537-1-9, June 11, 2008, 75 pages. Selig Polyscope Movie Projectors made by William N. Selig – a compilation, April 22, 2010, 47 pages. Cineograph movie projectors and some cameras Made by Siegmund Lubin 1896-1916 A checklist, 2010 54 pages. From the JENKINS PHANTOSCOPE to the ARMAT VITASCOPE Chronologically arranged, 2010, 135 pages. A Possible Classification of Thomas Edison’s Kinetoscopes, 2002, (Incomplete, work in progress). 35mm Movie Projectors, A work in progress with over 1,300 pages so far. (Dec. 2006). The Coinage of Modern Greece, Crete, the Ionian Islands and Cyprus. Chicago, 1969, ISBN 0-916710-02-5, 96 pp, + 16 plates, hardbound. The Coins of Cyprus 1489-1571, Chicago, 1975, ISBN 0-916710-19-X, 32 pp, fully Illustrated, paper cover. A Catalogue of the Coins of Dalmatia et Albania 1410-1797. Chicago, 1970 ISBN 0-916710-67-x, 32 pp, illustrated, maps, tables, paper cover. The Coinages of Alexander the Great, S. Gardiakos Editor. ISBN 0-916710-82-3, 1,007 pp, +157 plates, hardbound in three volumes. The Sculptures of Soterios Gardiakos, By Chrissafenia Gardiakos, Aurora, IL 2006 with updates, ISBN 0-9777537-6-X. featuring 101 sculptures.